Photo of 2014 Transit Connect cargo van courtesy of Ford. Sales of Ford's Transit Connect cargo van and wagon increased 27 percent in the second quarter compared to the same period a year ago, Ford has announced. 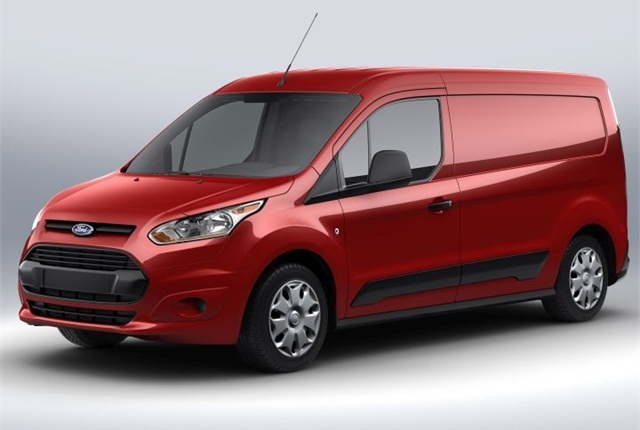 Ford recorded the best June and July sales for its compact vans, which were redesigned for the 2014 model year. Ford sold 4,573 Transit Connects in June, a 29 percent increase from a year ago, and 4,090 vehicles in July, a 42 percent increase from the year ago frame. June was the highest-selling month for the Transit Connect since the 2009 launch of the vehicle, according to Ford. Sales of the wagon tripled from a year ago in part due to increasing demand for the refreshed vehicle in the retail channel. So far this year, Transit Connect sales split with 66 percent for the cargo version and 34 percent for the wagon. In 2013, the wagon made up 13 percent of Transit Connect sales, according to Ford.